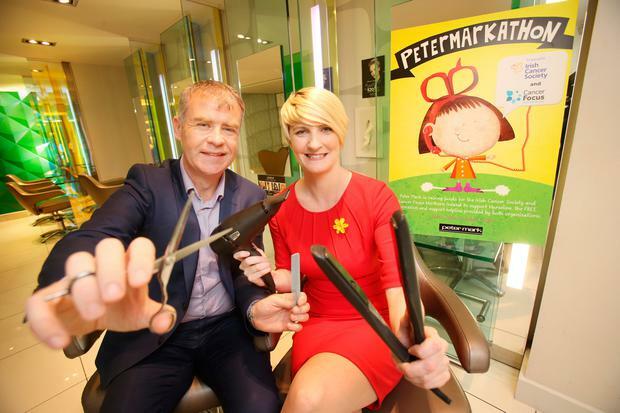 Irish salon Peter Mark has announced the recipient of its annual charity drive, this year pledging to support the Irish Cancer Society's Cancer Nurseline. Each year, the booming beauty business, with over 70 branches around the country, hosts a 'Petermarkathon' in which they encourage each salon around the country to come up with a creative way to fundraise - which means customers can enjoy an extra element of fun during their visit, whether this means a bake sale or daytime pyjama party. The Cancer Nurseline is a 24-hour, freephone number for anyone with queries about cancer treatment, which is stagged by trained nurses. CEO Peter O'Rourke said, "Over the years we have raised hundreds of thousands of Euros for charities across Ireland. Each year we select a new charity to raise money for and we are delighted to partner this year with The Irish Cancer Society." Averil Power, CEO of the Irish Cancer Society, said that 40,000 people will be diagnosed with cancer in Ireland this year and that any funds raised for their services are crucial. "This year over 40,000 people will get a cancer diagnosis in Ireland. That diagnosis can be frightening and overwhelming. That’s why our Cancer Nurses are available on the Freephone Cancer Nurseline to offer emotional support and advice to anyone concerned about any aspect of cancer," she said.